On Tuesday 28th February, I had the pleasure to speak alongside the principled and erudite Jacob Rees-Mogg MP in one of the historic Committee rooms of the House of Commons. The event was hosted by Conservatives for Liberty and the subject was on a topic I have championed for years, well before I was elected as an MEP. It was the European Arrest Warrant (EAW), and I stated as a matter of principle that the UK should withdraw from the EAW in the upcoming Brexit negotiations. A perfect example of why we should withdraw was also speaking alongside me. 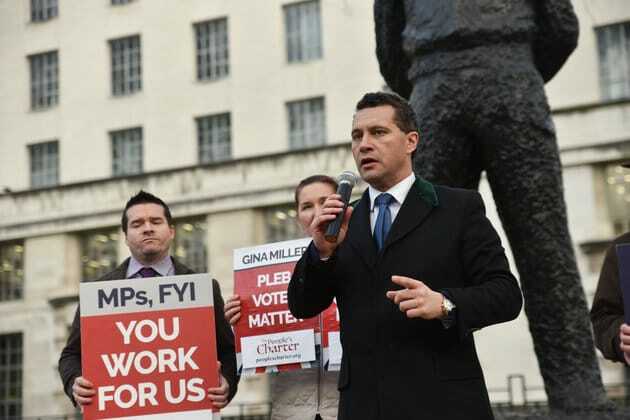 Alexander Adamescu, a German-born citizen resident in London, is fighting extradition from the UK on an EAW on unfounded corruption charges from the Romanian Authorities. Alexander told a harrowing and compelling history of his case, which began with his father being arrested on the same charges by the same Government, and who was subject to appalling treatment and eventually died of sepsis whilst being imprisoned in Romania. Alexander believes that corrupt elements within Romania are determined to destroy his family and seize his assets. In this specific case, the EAW is being used as a form of political abuse. This is obviously very worrying for Alexander and his family. It is for this reason that I recently raised the case inside the European Parliament to ensure the highest authorities were fully aware of the situation. The case shows a very clear example of how a country, party or other body can use the EAW as a political weapon, and our own courts have little or no chance of stopping such an extradition. On a much wider point, the EAW was one of the worst aspects of our membership to the European Union. The EAW subjects all of us fellow citizens to a different, unproven legal system. This goes to the heart of what the EU project is all about – much more than trade and cooperation. The EAW was a subsidiary issue during the referendum debate. However, it is undoubtedly one of the most important issues facing our time and was one of the principle reasons why I entered politics over five years ago. It is based on false principles. It is based on 28 EU members all having the same, robust and fair legal system. This could not be any further away from the reality and the imbalances are clear to see. 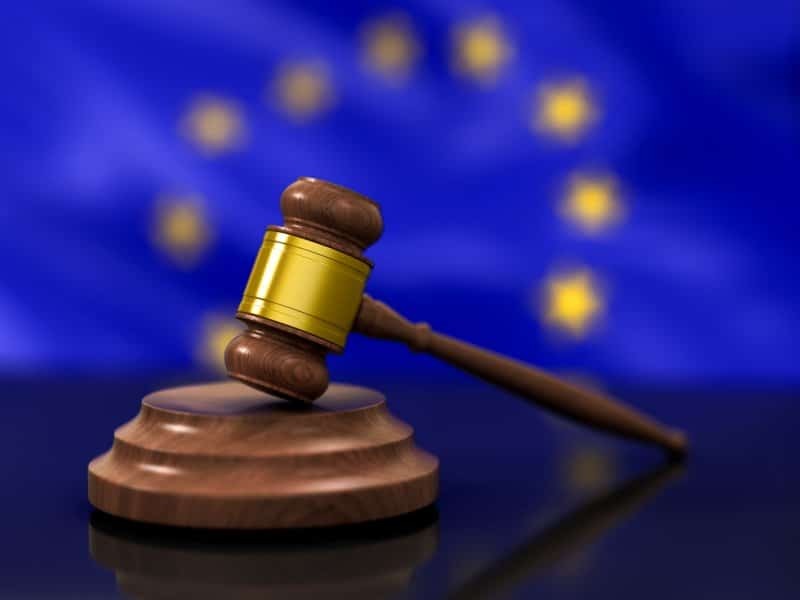 Our legal system, set around the principles of trial by jury, innocent unless proven guilty and the rule of law is by far the most superior, tried-and-tested system in Europe and indeed the wider world. Those principles have been in place for centuries and it is something we should all be immensely proud of. Yet, we may as well throw them all out of the window whilst we are all subject to the EAW. In some cases, our judicial system far supersedes the independence of other EU countries. Of course, the EU has no regard for historical context. The UK and other EU nations have been independent nations, as we know them today, for centuries. On the other hand, some EU member states have only been independent from the communist Soviet Union for a generation. There is a huge difference in the development and foundation of our democracies. Our democracies and our legal systems are at completely different stages, hence why the EAW does not and will never work. While those extradited to the UK can be guaranteed to be subject under one of the best legal system in the world, UK citizens and residents simply can never be guaranteed the same rights when extradited. The case of Alexander is a fine example of this. The case of Alexander is not an isolated incident. Only in 2009, Andrew Symeou was extradited to Greece. Andrew spent 10 months imprisoned in Greece on the charge of manslaughter. The reliability of the evidence was questioned and he was eventually acquitted without charge. He spent 10 months imprisoned in another country, miles away from loved ones. He was extradited and arrested with no substantial evidence. The EAW allows extradition of absolutely anybody without any concrete and substantial evidence for conviction. This, in itself, goes against every single legal right we have ever fought for. I strongly believe that even one bad case, such as above, fully justifies why the UK needs to withdraw from the EAW with immediate effect. Our judicial independence has been under threat from the EAW from the moment we entered it. Thank goodness we now have the opportunity to leave it. The issues around the EAW might not get as much TV time as other issues surrounding Brexit, but the government must make withdrawing from it in the negotiations an absolute priority. You cannot put a price on our freedom. If we have not left the European Arrest Warrant, then we have not left the European Union.